You’re probably reading this because sadly, Croptima InPlate is no more, and you’re looking for a way to get it working with InDesign CC 2017/2018. Good news – you’ve come to the right place. I tweaked the InPlate code and got it working in InDesign CC 2017/2018. Restart InDesign. Voilà. You should be rockin’ (as long as you also have the Croptima InPlate application installed). Thank you for your trouble! Amazing work. Any chance you could help me a bit with setting up the script for Windows Indesign CC? If I drop it to “C:\Program Files\Adobe\Adobe InDesign CC 2017\Scripts” nothing happens. I didn’t realize first that I need a existing installation of Inplate to get this work. I recently installed a new computer and lost the installation of Inplate and now that Croptima website is down I can’t activate it. Also I don’t have that free version installer that was up at Croptima’s site before it went down. I tried copying the installation from old computer’s HDD (All the files, from users folder and program files). I got it running, but gives a Adobe AIR error: “Initial content could not be found for this application”. I did get it working on two other computers that had the plugin already installed. I just copied the InPlate folder from CC 2015 scripts folder to CC 2017 scripts folder, added the line you mentioned and got it working! Even the download is there! Trying to install gives a error that installer is damaged. Has anyone figured out a way around the activation? I’m in the same boat. Had to install on a new computer when the hard drive crashed and get to the activation, and of course, it hangs because no one is home. I’ve been able to get the Trial Version running, which doesn’t have the full capabilities, but I’m curious… has anyone figured a work around to the registration? If you have a Time Machine backup from a time when InPlate was working you could try restoring the above folder and file and hopefully activation will be restored. I’m facing the same problem: I had a valid code purchased but activation is no longer working. Hi, I’m so glad I found your post. I’m running into the same problem Faravid had where I bought a nee computer and need to install croptima but I don’t have the free download. Every time I try to install is asking for activation but the croptima site is no longer up to activate. Is there any way around this? That’s about all I can suggest. Good luck. Thanks for the reply! I’ll try that and see what happens. Yep. I’ve got the same issue in InDesign CC 2017. I had same problem, were you able to solve it in the end? Same message about not finding preference file. Do not know how to proceed. 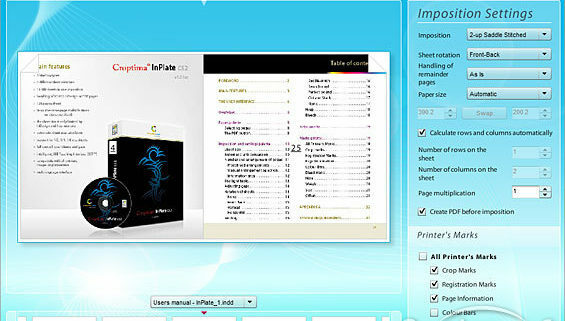 Until last year, I had been using InPlate since 2007. I was devastated to see that he’d closed up shop. Every few months I Google Croptima to see if the programmer has resurfaced or if someone has picked up in his stead… and I’m SOOOo glad that you did. I’ve tried at least TEN different options from various imposition companies and haven’t found anything with as simple and easy an interface as InPlate. I’m beyond BLISSFUL to see it back. Bless you! Thanks Sherry. Glad it was helpful. I appreciate your appreciation. It works but you still need to have the Croptima InPlate software installed with your activation code. Sherry, man, which competitor software exists? I need a solution to print a deck of poker cards, I was surprised that it’ so hard to do. Cheap competitor? None. One that works pretty flawlessly? It’s super vanilla and boring, and there is NO previewing (at least in all the incarnations I’ve tried) but it’s chock full of features, so as long as you don’t mind wading through text setups without previews, it works alright… if not a little pricey. Many thanks. I’d been sticking to CC2015 because of this. Any plans to maintain it over the following versions? It totally depends on future versions of InDesign. I’m not re-writing the InPlate code per se, just tweaking the associated script to enable it to run on a specific version of InDesign. If InPlate base code becomes incompatible with a future version of InDesign then unfortunately, all bets are off. This doesn’t seem to work. Indesign still asks for the Activation code. We have the code and Croptima closing down means there is no server for the code to check and confirm the license. We had 3 iMacs running Croptima and I needed to restore one and we can’t get it past the Activation Code. Shame as Croptima was very useful and easy to use. Can you recommend anything else? 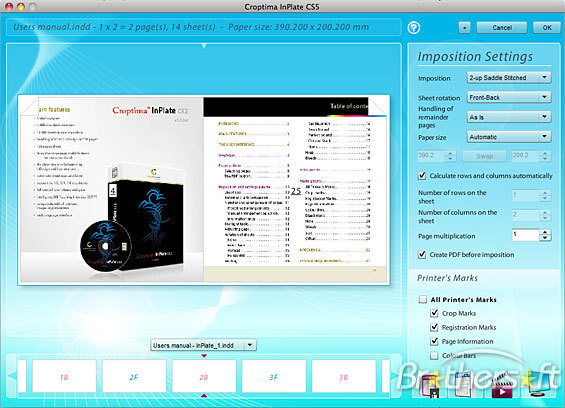 who has a fully activated version of croptima? may someone can share the relevant files to enable activation on a mac. Lost my activation details after my machine crushed. in the end I see the ‘Croptime InPlate’ menu item, but it’s not clickable. Of course, there’s no such file or folder, so i tried to create an empty prefs.txt there, but this didn’t fix the situation. (mine still said inPlate_cs3) so it couldn’t find it. Hello, Is there any tweak for the script to use it in windows 7 and cs6 or cs5.5? Thank you so much but it’s doesn’t work, can you help me fix it pls? I just tested it myself. Worked fine for me in InDesign CC 2018 (on Mac). I’ve luckily got it working fine with CC 2018 (Mac). This is an excellent piece of software and Pixelboy has done us all a great service in maintaining it so far. However, I’m aware that its future is a grim uncertainty, and despite searching and trying many alternatives, there seems nothing quite as good. Unless anyone has any other suggestions to allay my future fears? How did you make it work with CC 2018 (Mac)? I just followed the instructions from above. All seemed to work okay. Have anyone made it work in windows? But I get a Java error. Am I doing something wrong? Hi Nicole. That script is the old version (for CC 2017). Please can you get this to work in the Windows version? no luck, it generates a java error. I’ve got 3 PC’s running with InDesign CS6 and croptima. On one of the PC’s crotima won’t work again. I tried to restore the crotima files from one of the other PC’s but no luck. I can use the PDF placer but when a try to make a inposition I get a black screen. Is there someone who knows where all the files are located on a windows machine???? I have this exact issue on PC. I have tried to grab everything and transfer across. I don’t think the licence is stored in the registry, which would make it virtually impossible to find I think. Script seems to load in Indesign, but I get a blank pop up screen rather than the interface and it eventually times out. Did you find a way around it Mart? Nope, sorry DB. I tried many ways but no luck. I know work with Montax Imposer. Anyone got a working link to the program? I’ve used your previous bandaids for Croptima before and they worked great. This new one is behaving weird, though, and I think it is because our IT department changed my mac’s home directory name to include my name, rather than the generic “User” that was formerly there. It now reads Users/Sherry rather Users/User. Croptima last worked under Users/User. Now when I run Croptima it hangs as it tries to draw the user interface. Could the new username on my computer be the problem? Could it be an uppercase/lowercase issue? Do you have any idea where it may have saved that information and where I could change it? I’m really stumped! Any help would be greatly appreciated. Just off the top, I’ve been using Croptima for many years. Very sad to see it going away. Way too easy to impose files and there is currently nothing like it. I use it in our digital dept. on several machines. Since rebuilding and upgrading Operating software and Adobe CC 2018, I can’t get any of the above solutions to work. I was in the same boat, and while the tweaks helped us limp along for a while, it all went downhill when I got a new computer and had no way to authenticate. I finally found another program that is almost as easy and visual for imposition. It runs as a stand alone or as a part of acrobat. Give Imposition Wizard a try. It’s like $15 per month and has a very responsive service team. I bought this Croptima application back to 2016 and I like it very much but why now all the versions when I installed (Croptima application) “an error has occurred”, The application could not be installed because the installer file is damaged??? please help and any website can I download the full application??? Sorry Ninji but I can’t help you as I don’t have a full installer available. Is your script compatible with the most recent updates for indesign cc?  We have been holding out on updating our cc software as we rely heavily on croptima and haven’t found a suitable alternative imposition software to use in its place. We are on mac osx. Yes, it works as of Adobe InDesign CC 2018 (version 13.1). Thanks Pixel Boy. Going to try updates/adding the scripts at the weekend. Wish me luck! I have the same problem how to do authorization as the server does not exist, I have In Plate under Windows x7. Upload inplate folder from users directiory!!! I have macs running many versions of ID and OS. When Croptima launches, Adobe Air presents the authentication window where the serial numbers won’t work. I’ve read where your go into the user folder and find the “some-really-long-number” but the folder Application Support/Adobe/Air/ELS/Croptima-Inplate-CC isn’t there. Oddly it worked before the reinstall and ID/AdobeAir seems to find the authentication. I’ve searched the drives, back ups etc. and nowhere do I find the ELS folder. There’s no solution I know of that can re-generate the ELS files without (the now defunct) Croptima activation. I would have thought it would be on a Time Machine backup (if you use Time Machine and backup regularly) but you say you’ve checked your backups. Sorry I can’t be of help. is there a possibility to share folder “Adobe/Air/ELS/Croptima-Inplate-CC” of authenticate Croptima? Unfortunately, sharing ELS/Croptima-Inplate-CC won’t work as the file is linked to your specific computer.